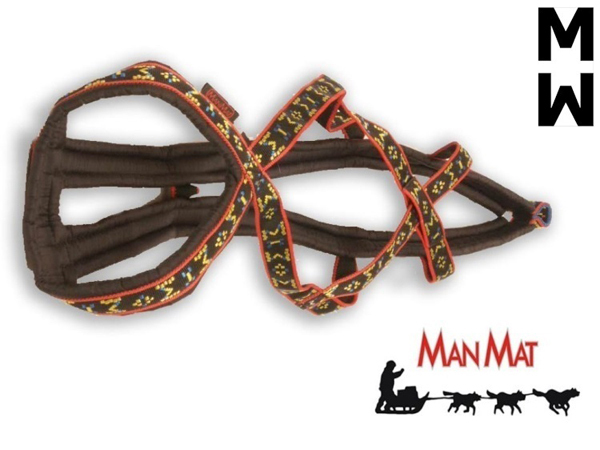 Designed for difficult to fit, wide and deep chested dogs, especially purebred pointers and pointer crosses. 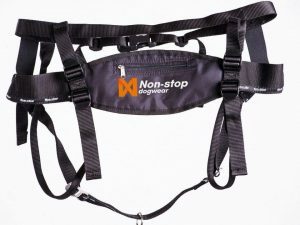 Specially constructed neck opening and breast plate keeps this harness centered on the dog's chest. 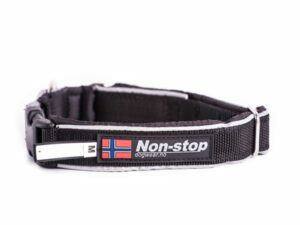 Construction of the "collar" minimizes pressure on the dogs throat, pull force is distributed mostly to the sides of the "collar". 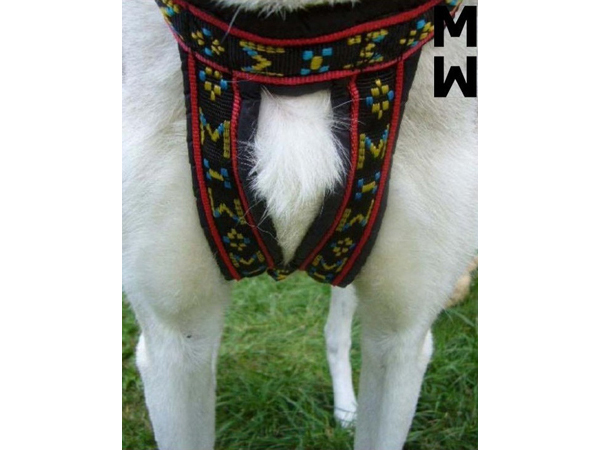 Not suitable for narrow chested dogs such as Alaskan and Siberian Huskies. 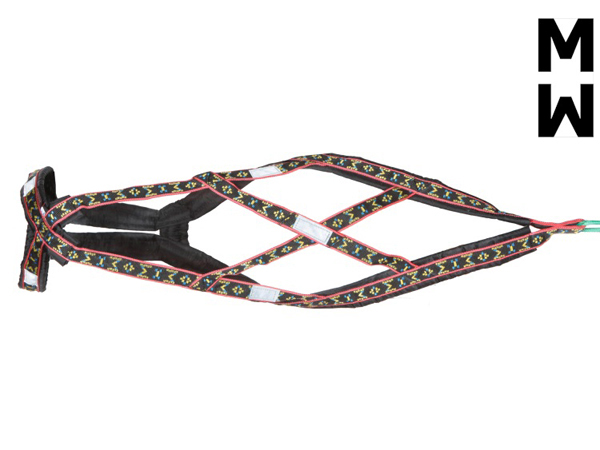 Made out of 1 inch wide light weight, extremely durable tubular webbing. Padding is made out of light weight foam covered in a rip-stop shell. 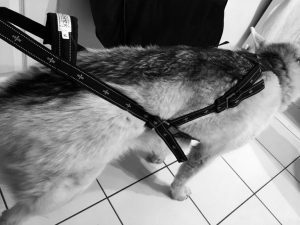 Padding extends along the harness's entire length. 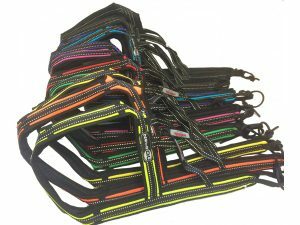 Webbing is a multi colored design on a black background. Way of padding and type of padding are protected by CZECH INDUSTRIAL PROPERTY OFFICE – 13225 - U1 – MTP B68 G 11/02.